BEST offers companies the opportunity to meet a range of professional service providers in an informal setting. No hard sell – no reason not to come. No reason to put it off! 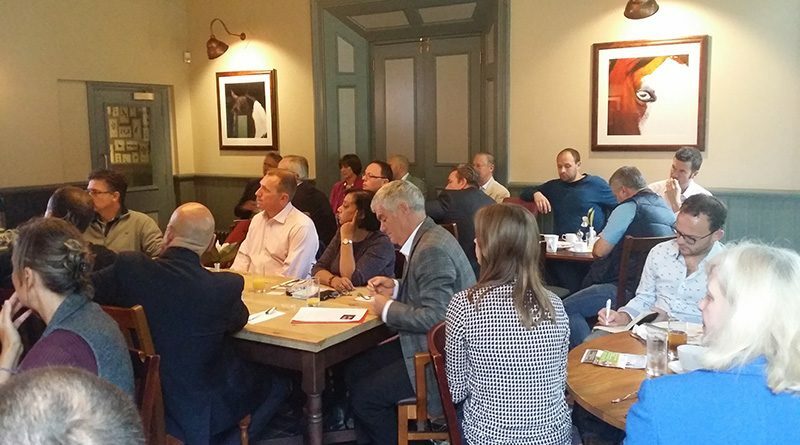 Whether you are interested, as a local business in meeting professional business owners who may be able to provide you with the services you require, or are interested, as a professional, in seeing what the Group could offer you to help your business succeed, the first step is to come along to one of our Tuesday meetings. We meet at Worplesdon Place Hotel on the A322 at 7.30 a.m. most Tuesdays. Breakfast is included and the meeting concludes at 9.00. You are more than welcome. Just click here for your invitation. Unlike some networking groups there is no pressure to join the group. Learn about local and national issues that will affect your business, benefit from referrals from other members, and meet lawyers, architects, accountants, marketing and H.R. professionals, consultants and others in an informal atmosphere. Now I am working from home BEST keeps me in touch with all the professions in one meeting. Over the years I have not only had great referrals but made really good friends – one of whom partnered me in a new business venture. I look forward to Tuesday mornings! Russell Harvey – Metro Bank. I was hooked on the BEST concept from the first meeting I attended and instantly felt welcome and wanted as part of the group. There is such a diverse mix of individuals and businesses, all with a determination to get on and find ways to share business as well as support each other. I couldn’t recommend it high enough! Russell Harvey – Metro Bank. I was hooked on the BEST concept from the first meeting I attended and instantly felt welcome and wanted as part of the group. There is such a diverse mix of individuals and businesses, all with a determination to get on and find ways to share business as well as support each other. I couldn’t recommend it high enough! I joined the BEST Business Group in 2017 and was aware that it was a leading network for business owners and service providers in the area. I have been impressed with the professionalism of the membership and have learned much from presentations and interactions with experts on matters including law, accountancy, property, HR and IT. This is friendly group, with business naturally passing between like-minded individuals. I joined the BEST Business Group in 2017 and was aware that it was a leading network for business owners and service providers in the area. I have been impressed with the professionalism of the membership and have learned much from presentations and interactions with experts on matters including law, accountancy, property, HR and IT. This is friendly group, with business naturally passing between like-minded individuals. "BEST is a weekly highlight for me. It´s a great chance to remove myself from the day to day and get some on the business inspiration. There´s always new business development opportunities and moreover it´s always time well spent in building genuine relationships within the local business community." Come along and meet us any Tuesday. Press the button to let us know you're coming along. Property prices are down in the capital but up around the UK… but for how long?